The City of Winnipeg develops its capital and operating budgets with multi-year forecasts that help to outline the future financial direction for the City. Unlike other levels of government, the City of Winnipeg’s Charter mandates the City to pass a balanced budget by March 31 each year. 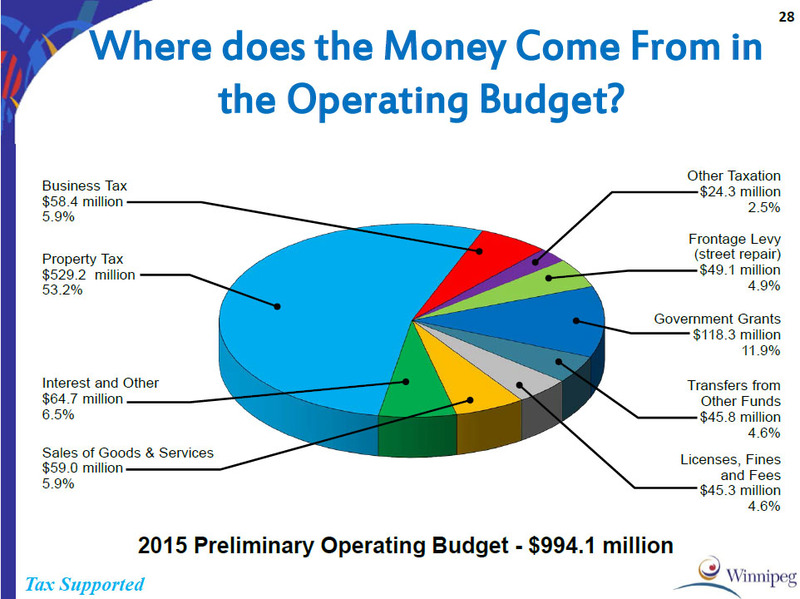 The 2016 budget will be tabled in early March for residents to review and provide additional feedback. The Mayor and members of City Council are working to improve the budget consultation process to become even more inclusive. Traditionally, the Mayor and members of the Executive Policy Committee (EPC) form the Budget Working Group, and work with City staff to develop the budget and bring it forward for public input. Consultations with Chair of Finance: Councillor Marty Morantz, Chair of the Standing Policy Committee on Finance, met individually with each City Councillor to gather their budget input. Expanded Budget Working Group: Two non-EPC Councillors (Gerbasi and Gillingham) were invited to participate in the Budget Working Group. While these are positive steps forward, much still needs to occur in the process towards creating the City’s budget, and I am confident next year’s process will be even better.